This is a heavily revised edition to the groundbreaking book entitled The Art and Architecture of Freemasonry: an Introductory Study, published by Batsford (1991), hailed as a major contribution to scholarship: it won the coveted Sir Banister Fletcher Award as Best Book of the Year (1992). 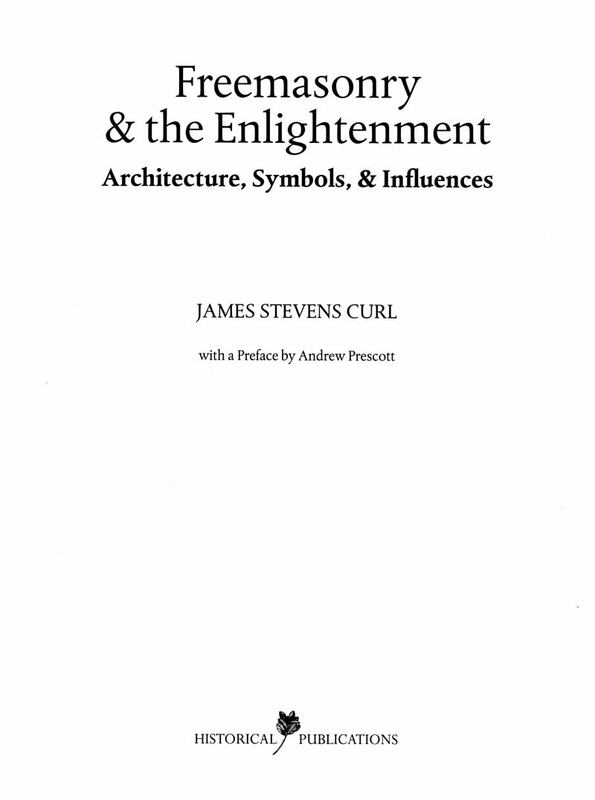 In the light of research and scholarship over the last twenty years or so, it was obvious that the 1991 volume would need considerable revision, so it was decided to re-write and greatly expand it, taking on board many aspects not covered in the original tome, and to add a large number of new illustrations and much fresh material in order to make the work once again available in an attractive form to scholars and the general public alike. Any study of the Enlightenment which fails to take Freemasonry into account must be regarded as having enormous lacunae, for it is obvious that the Enlightenment and the Craft were closely intertwined in Europe and the Americas for the best part of a century. Significant numbers of eminent figures of the 18th and early-19th centuries were Freemasons (think of Goethe, Haydn, Mozart, Voltaire, and Washington, for example), and it is impossible to delve into the vast ramifications of the Age of Reason without a consideration of the Craft (which was also immensely important in Georgian Britain). 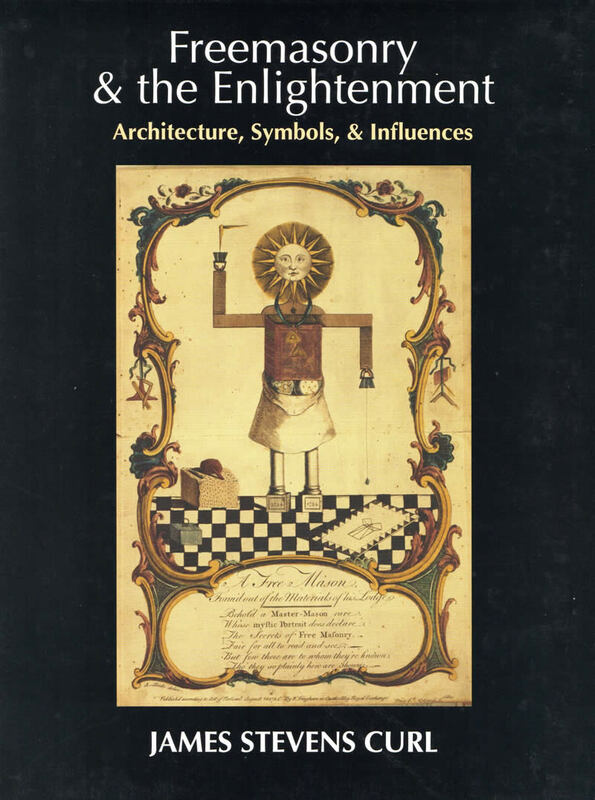 The exceptional illustrations are accompanied by detailed, informative captions, and the glossary of Masonic terms explains many complexities and ramifications. 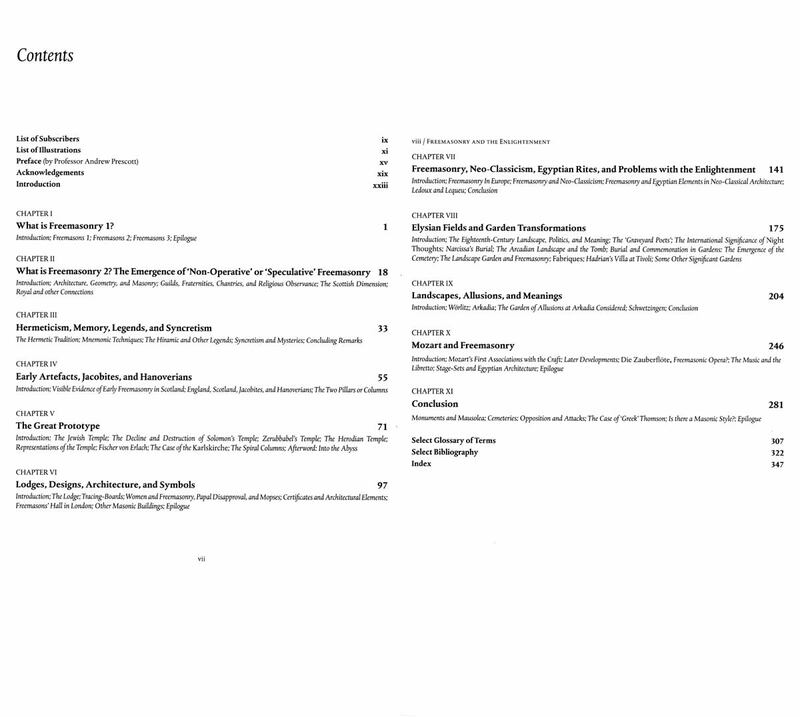 The extensive bibliography offers an enormous amount of material for further study. 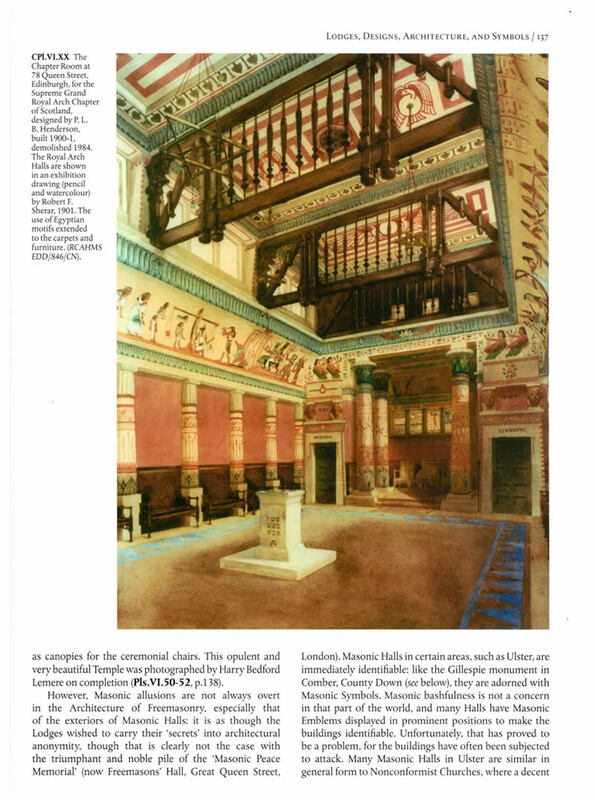 The Art and Architecture of Freemasonry: an Introductory Study (London: B.T. Batsford Ltd., 1991, ISBN: 0-7134-5827-5 [hbk. ]; Woodstock, NY: Overlook Press,1993, ISBN: 0-87951-494-9 [hbk. ]; London: B.T. Batsford Ltd., 2002, ISBN: 0-7134-8745-3 [pbk. ]; and Woodstock, NY: The Overlook Press, 2002, ISBN: 1-58567-160-6 [pbk. ]).